John Doyle and Joseph Kashas initially met in the first grade, but it was an eighth grade computer science class that brought them together. Since they became friends, they always worked really well together musically. When their last band didn’t pan out, they decided to make the move to Nashville and begin putting out music under the moniker John & Joe. Their songwriting process is a team effort and they typically work best when they come up with an idea by accident. It usually starts out during a jam session, where one of them notices a chord or melody that catches their attention. From that idea, they plan out each part before recording it. Their debut EP dropped July 1 with “Honeyman” as the latest single. The concept for the song began after Doyle visited home and spent some time delving into his father’s record collection. James Honeyman-Scott, the guitarist for the Pretenders, inspired Doyle during that trip and from that inspiration came a baseline that they couldn’t get out of their heads. “It grooves in a way that people can dance to and [Doyle’s] melodies in the song are super catchy, not to mention it’s different from a lot of stuff we’ve done before in a way that we were excited about,” Kashas said. While “Honeyman” is reminiscent of 80s-style dance films, the other two songs on the Pink EP have traces of modern and classic influences. “Keychain” and “Silver Lining” share indulgent sounds of the guitar and mix them with melodies that are hard not to clap along to. It’s only three songs, but it’s three songs that best represent their style. John Doyle and Joseph Kashas have taken so many of their ideas and have really brought them to life in their music. 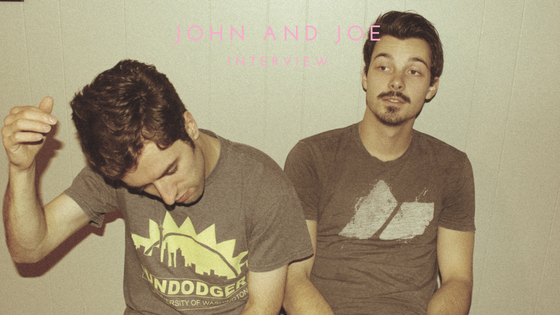 Although there’s hundreds of songs sitting on their computers, waiting for the right chord progression or complex lyric, this three-song EP is just starting to scratch the surface of what is John & Joe.